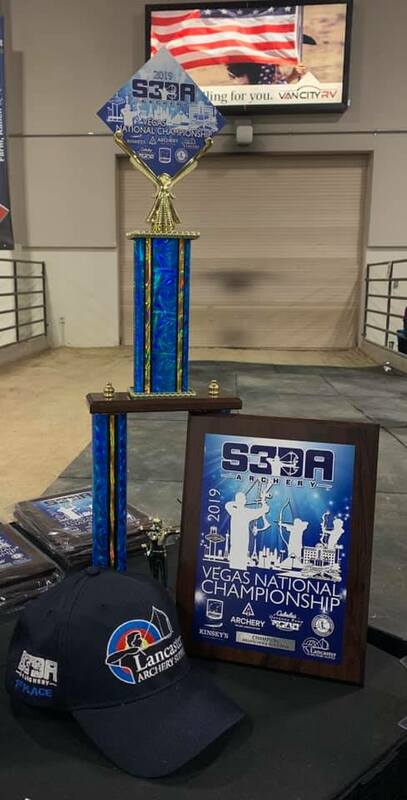 Scholastic 3-D Archery hosted their 3rd S3DA Vegas National Championship on February 7th, 2019. S3DA students from 22 different states met at the South Point Hotel and Casino in Las Vegas, Nevada vying for the title of “National Champion.” Archers from 31 different clubs and teams across the United States participated in this competition. These numbers continue to rise as S3DA expands across the Western US. The Top 3 results per class & division are posted below. For the full results, please click here. For pictures on this event, please check the Scholastic 3-D Archery Facebook Page, as well as the Tournament Photos tab on our website.